Did you know that March is a National Crochet Month? Yes, it’s almost end of month – that’s true. But still it’s not too late to join the celebration. Today I am happy to be a representative of 5th Annual NatCroMo Blog tour. Please, visit their official page HERE to get acquainted with other participating designers. 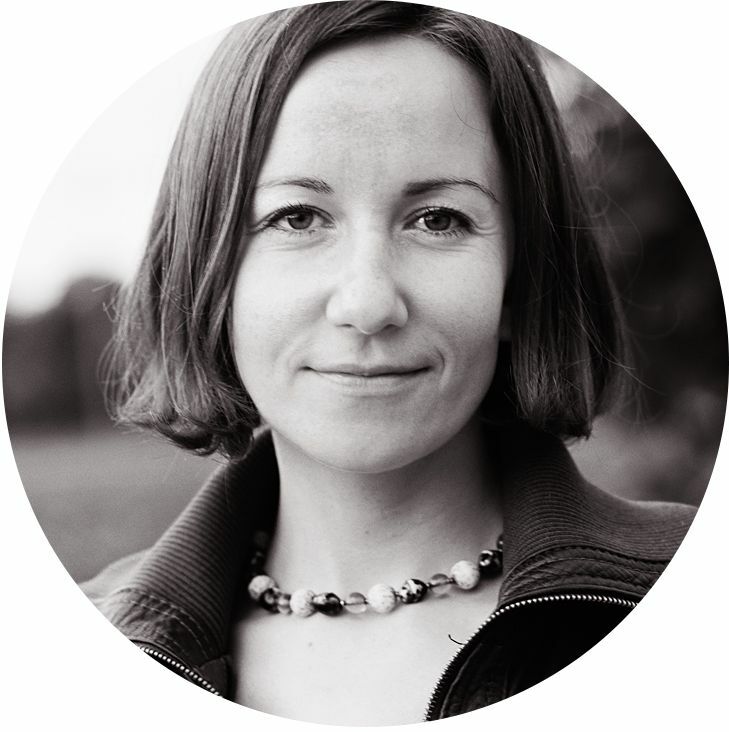 And HERE you can read a short interview with me. 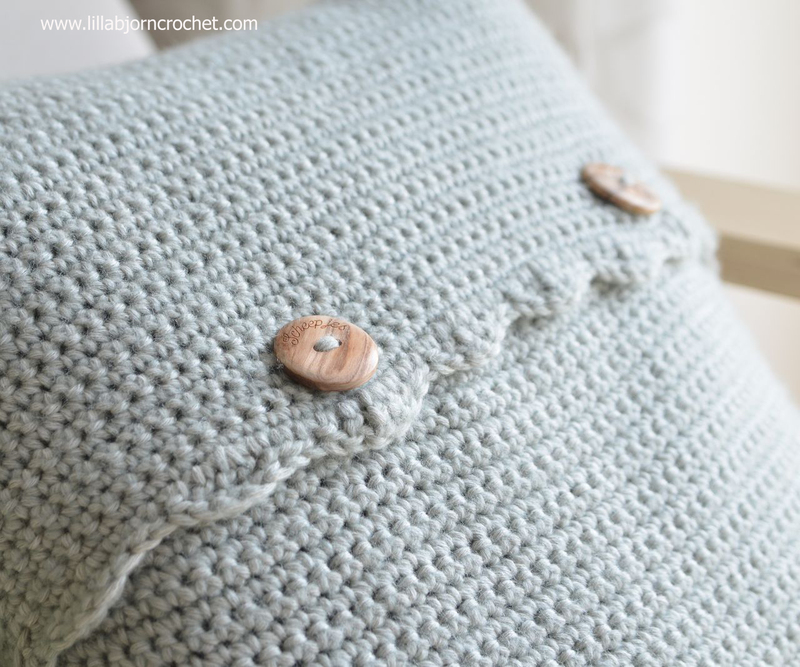 To celebrate National Crochet Month I have just released a new overlay crochet pattern. Recently I have been under influence of Celtic designs, and I have created several Celtic patterns (check my Celtic Mandala and Celtic Tiles Blanket). I have been in love with crochet cables for a while now and got an idea of a new design. I wanted to “draw” a tree. A lonely but hoping tree. Three months ago together with my family and friends we spent a week in the mountains, enjoying true winter with freezing temperatures and lots of snow. We went skiing in the mornings and enjoyed evenings in front of the fireplace. And we made lots of walks around the neighborhood with our dog. During these long walks I saw lots of lonely trees in the fields, frozen and covered with snow. They looked magic. In one of the evenings I draw a sketch of a tree on a napkin. I felt so inspired and wishing to recreate this drawing into crochet when I returned home. And it worked!!! Later I added two cabled panels to frame a tree square, and to turn it into a pillow throw. 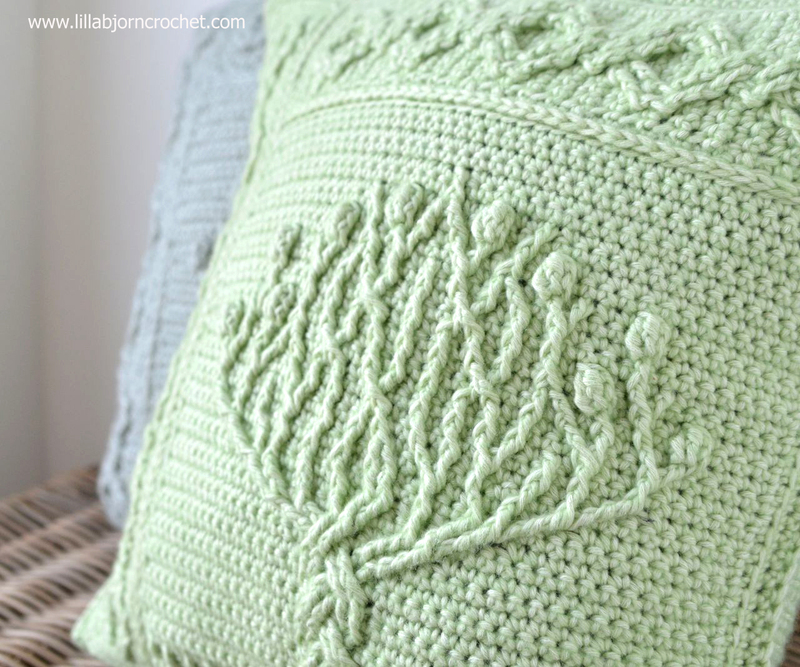 So here is my new Tree of Life pillow pattern! It is available for purchase HERE on Ravelry. I used Stone Washed XL yarn* (aran weight) in shade Crystal Quartz (854) to express my feelings about last winter. And when the pattern was ready, I decided to make another pillow in light green color New Jade (859) – 8 skeins for complete pillow throw. Because of gauge difference you will need two hooks for this project – 4.5mm (7) and 5mm (H). The clasp includes 2 wooden buttons in appropriate size (I used Scheepjes olive wood buttons* - 30mm). Because of multiple front post stitches the crochet fabric is pretty tight and dense, so no lining is not needed. 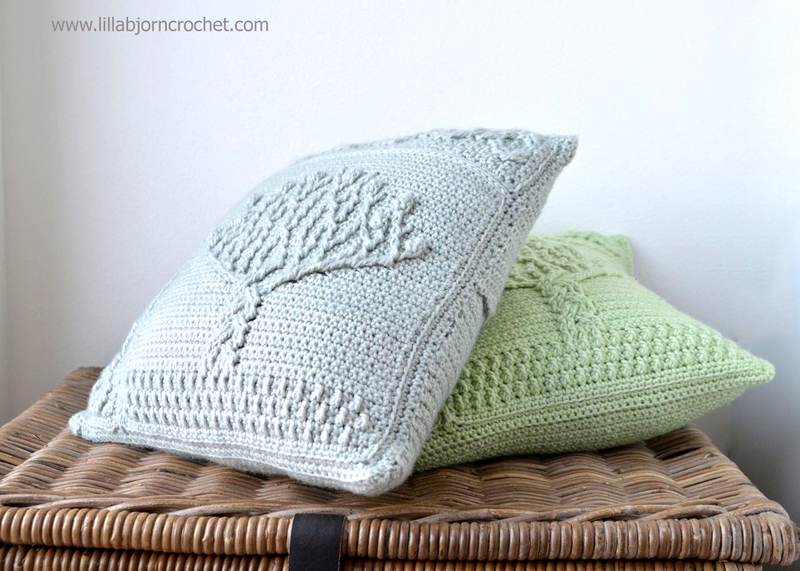 Central Tree panel can be used as a separate decoration – for an old fabric pillowcase, for example. Or as a motif for an afghan (and if you use soft yarn, the square will not be so stiff). I thought it can also work nicely for a potholder, so I made one for myself with Catona yarn* in shade Kiwi (205) with Petal Peach (263) for the edge. To complement my new potholder, I made another one with Celtic Tiles free pattern. And lined both pieces with natural linen fabric (just stitched it by hand to crochet). 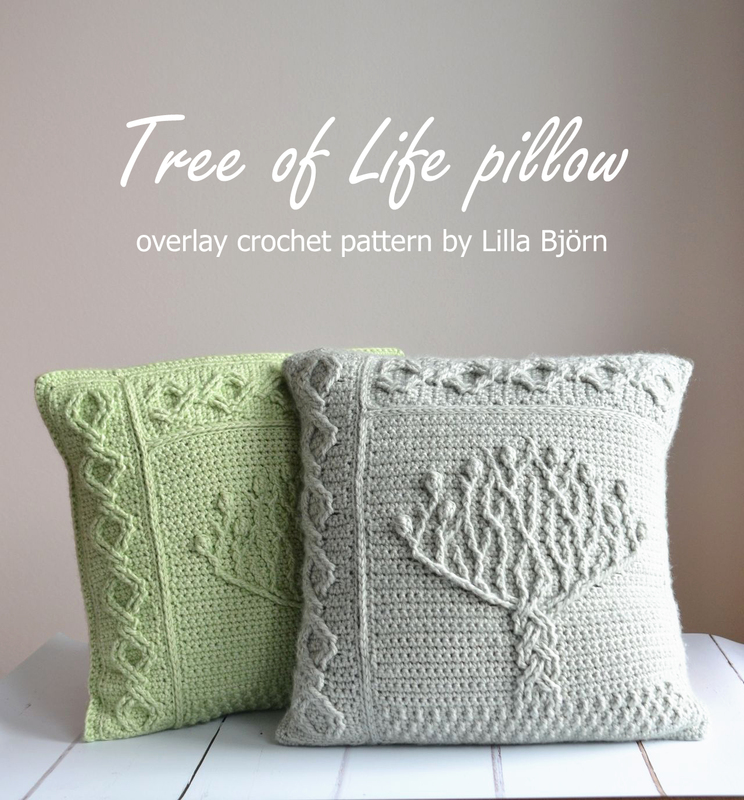 Tree of Life pillow pattern is aimed to intermediate crocheters who already know how to make front post stitches and keep the gauge under control. There are lots of progress pictures and complete stitch guide in the pattern. A print friendly copy is also available for download. The pattern has been thoroughly tested by 11 testers. I hope you will enjoy it, and of course I am always here to help you. Materials: aran yarn in one colour (Stone Washed XL by Scheepjes - available via Wool Warehouse HERE*, Deramores HERE*, Paradise Fibers (US)* and in your local Scheepjes shops), 4.5mm (US7) and 5mm (H) crochet hooks, stitch markers, scissors, tapestry needle to weave in ends. 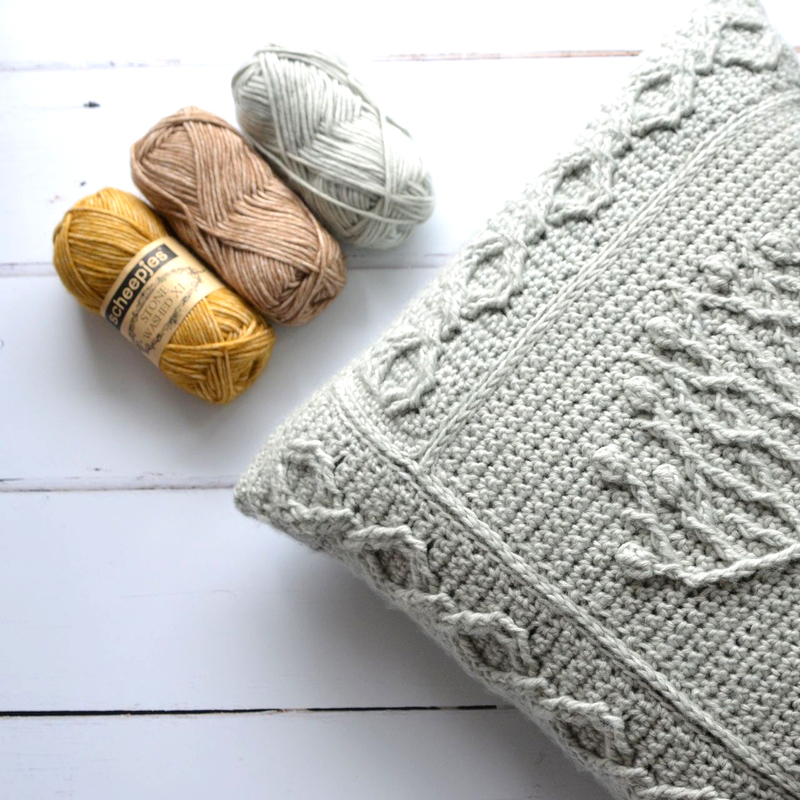 The size of finished pillow depends on the yarn and hook you use. My pillow is approx. 40 cm (16 inches) large. 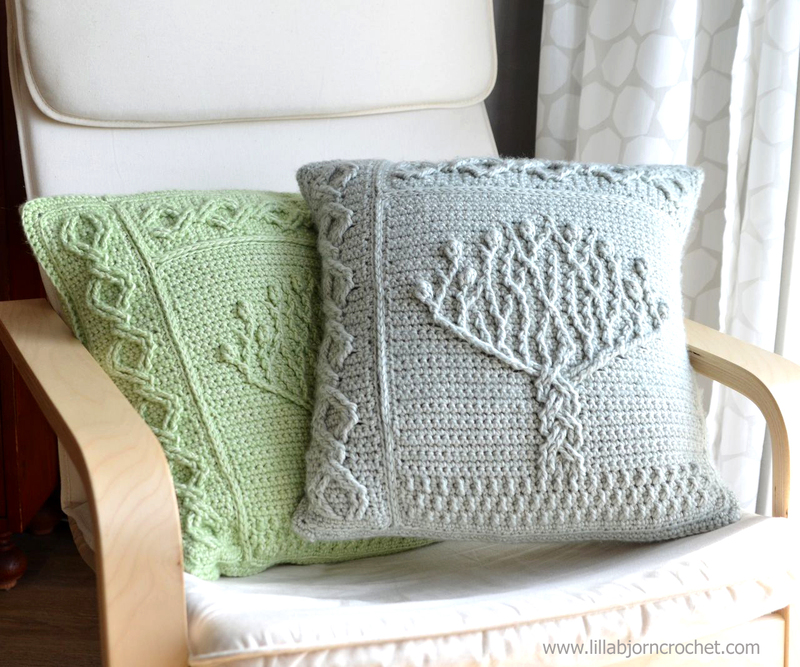 Tree of Life pillow pattern is available HERE on Ravelry. Use code TREE to get 25% off through Monday, March 27. * DISCLOSURE: This blog contains affiliate links (marked with *). 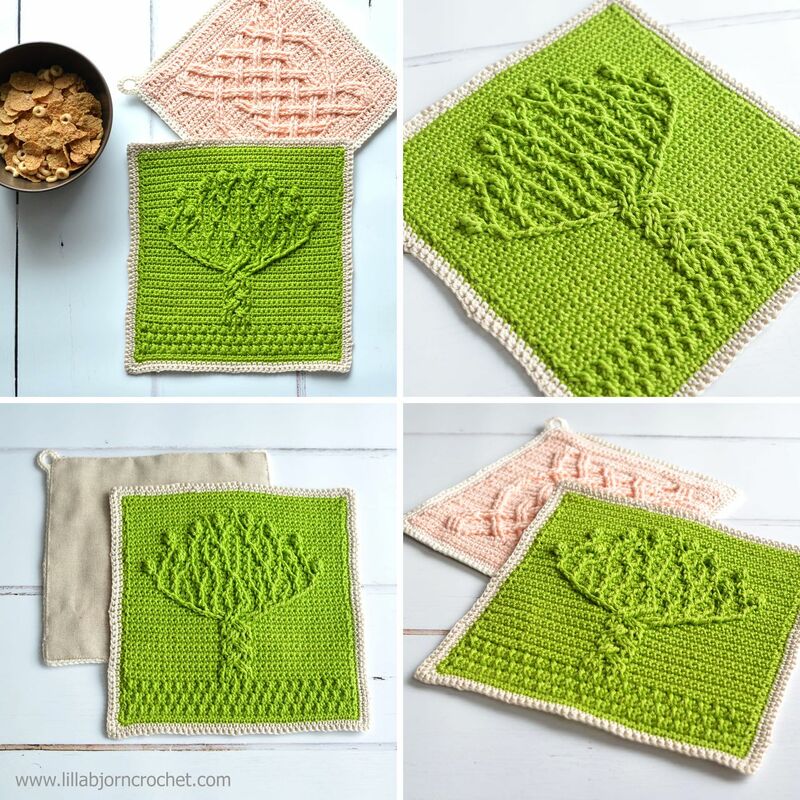 If you purchase a product via a link on my blog, I may get a small percentage contribution from the store which enables me to keep providing you with free patterns. It costs you nothing extra to visit the store via my link, but ensure I get the credit for the sale. Thank you for your support! Very nice! 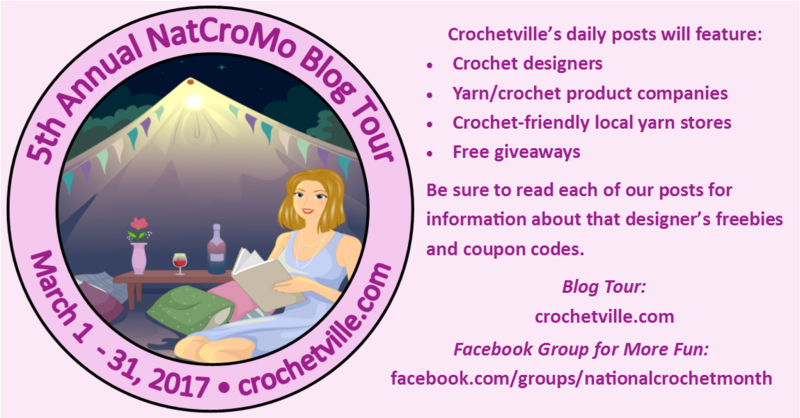 I am happy to see you featured today on the Crochetville Blog Tour! Have a great weekend! --Rita Z. Thank you Rita! I am very proud to be a member of Crochetville Blog Tour. It's a very big honour. I just purchased the pattern and want to follow the tutorial link for the Modified tr3tog given as goo.gl/9j4DUo but am getting nowhere. Do I need a special program to see this or do I miss something? Thank you for this very beautiful pattern! Hi! two download links have been sent to your e-mail. One is for copy of the pattern with pictures, and another one for the text only. Please, check both links. Is dit patroon ook in het nederlands te krijgen?